LONDON: Archaeologists said Tuesday they had discovered what were believed to be the best-preserved Bronze Age dwellings ever found in Britain, providing an extraordinary insight into prehistoric life from 3,000 years ago. The settlement of large circular wooden houses, built on stilts, collapsed in a fire and plunged into a river where it was preserved in silts leaving them in pristine condition, Historic England said. Discoveries from the dwellings in Whittlesey, in central England, which archaeologists said had been frozen in time and dated from between 1000-800 BC, included pots with food inside and finely woven clothing. “We are learning more about the food our ancestors ate, and the pottery they used to cook and serve it,” Duncan Wilson, Chief Executive of Historic England, said in a statement. Among the finds at the site, about two meters (6.5 ft) below the modern ground surface, are exotic glass beads forming part of a necklace, rare small cups, bowls and jars. 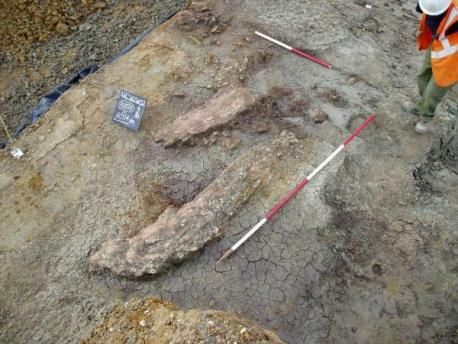 Archaeologists also said that the site was so well preserved that even the footprints of those who lived at the site had been discovered. There are also charred roof timbers clearly visible in one of the houses and the excavation team have speculated that those living at the settlement abandoned it in haste when it caught fire. David Gibson, Archaeological Manager at the Cambridge Archaeological Unit, said they only usually came across a few pits or metal finds at Bronze Age sites. 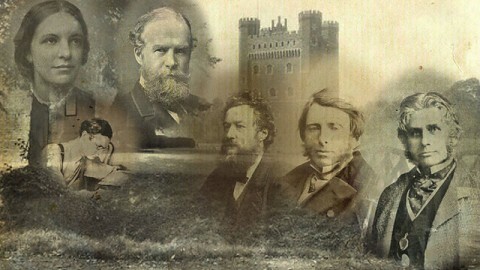 Windsor may have been popular with royalty rather earlier than generally thought. Archaeologists, excavating near the Royal Borough, have discovered the 4400 year old gold-adorned skeleton of an upper class woman who was almost certainly a member of the local ruling elite. She is the earliest known woman adorned with such treasures ever found in Britain. The individual, aged around 40, was buried, wearing a necklace of folded sheet gold, amber and lignite beads, just a century or two after the construction of Stonehenge some 60 miles to the south-west. Even the buttons, thought to have been used to secure the upper part of her now long-vanished burial garment, were made of amber. She also appears to have worn a bracelet of lignite beads. The archaeologist in charge of the excavation, Gareth Chaffey of Wessex Archaeology, believes that she may have been a person of power – perhaps even the prehistoric equivalent of a princess or queen. It’s known that in southern Britain, some high status men of that era – the Copper Age – had gold possessions, but this is the first time archaeologists have found a woman of that period being accorded the same sort of material status. It’s thought that the gold used to make the jewellery probably came originally from hundreds of miles to the west – and that the amber almost certainly came from Britain’s North Sea coast. The lignite (a form of coal) is also thought to have come from Britain. 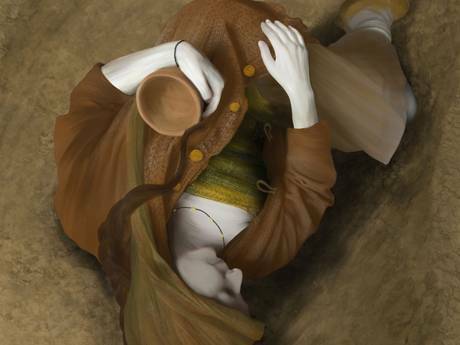 The funeral rite for the potential prehistoric royal may have involved her family arranging her body so that, in death, she clasped a beautiful pottery drinking vessel in her hands. The 25 centimetre tall ceramic beaker was decorated with geometric patterns. Of considerable significance was the fact that she was buried with her head pointing towards the south. Men and women from the Stonehenge era were often interred in opposing directions – men’s heads pointing north and women’s heads pointing south. Europe-wide archaeological and anthropological research over recent years suggests that women may have been associated with the warm and sunny south, while mere men may have seen themselves as embodying the qualities of the colder harder north! The woman’s skeleton and jewellery were found 18 months ago – but were kept strictly under wraps until now, following the completion of initial analyses of the woman’s bones – and metallurgical analysis of the gold. The discovery is part of a still ongoing excavation which started a decade ago. The elite gold-and-amber-adorned Copper Age woman is merely the most spectacular of dozens of discoveries made at the site – including four early Neolithic houses, 40 Bronze Age burials, three Bronze Age farm complexes and several Iron Age settlements. The excavations are being funded by the international cement company CEMEX, whose gravel quarry near Windsor is the site of the discoveries. The Festival will become a giant encampment of living history through the ages, from Romans to the Second World War, and displayed by some of the very best re-enactors and historical interpreters in the UK. 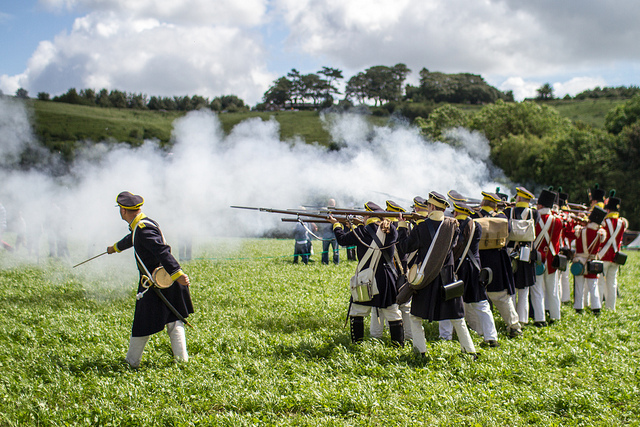 With an air show featuring Spitfires and other warbirds, with Sword School, Have-a-Go Archery, an interactive First World War trench experience, and a battle re-enactment of the Battle of Vitoria, there will be much to see for all the family. Throughout the week, the Festival plays host to many of our most popular, passionate and leading historians, from Max Hastings and Neil Oliver, to Michael Morpurgo and Dan Snow, and from Horrible Histories through to Boris Johnson and Tom Stoppard. Covering a wide variety of subjects from Ancient Rome to the Iron Curtain and with debates, discussions, lectures, seminars and events for all the family, this is Britain’s premier History Literary Festival. Two days of history featuring a wide range of curriculum-based subjects delivered by leading and best-selling historians, including Tom Holland, Michael Burleigh and Laurence Rees. From 1066, through the Tudors and the First World War, and the rise of the Nazis to the Second World War, the programme will offer a series of lectures, seminars, living history and inter-active demonstrations to bring history alive, excite and inspire Year 10 and 12 students. Civilisations around the world have been celebrating the start of each new year for at least four millennia. Today, most New Year’s festivities begin on December 31st (New Year’s Eve), the last day of the Gregorian calendar, and continue into the early hours of January 1 (New Year’s Day). Common traditions include attending parties, eating special New Year’s foods, making resolutions for the new year and watching fireworks displays. Throughout antiquity, civilisations around the world developed increasingly sophisticated calendars, typically pinning the first day of the year to an agricultural or astronomical event. In Egypt, for instance, the year began with the annual flooding of the Nile, which coincided with the rising of the star Sirius. The first day of the Chinese new year, meanwhile, occurred with the second new moon after the winter solstice. The first time the new year was celebrated on January 1st was in Rome in 153 B.C. (In fact, the month of January did not even exist until around 700 B.C., when the second king of Rome, Numa Pontilius, added the months of January and February.) The new year was moved from March to January because that was the beginning of the civil year, the month that the two newly elected Roman consuls—the highest officials in the Roman republic—began their one-year tenure. But this new year date was not always strictly and widely observed, and the new year was still sometimes celebrated on March 1. For more New Year’s features see New Year’s Traditions and Saying “Happy New Year!” Around the World. Wessex Tours – Making History!